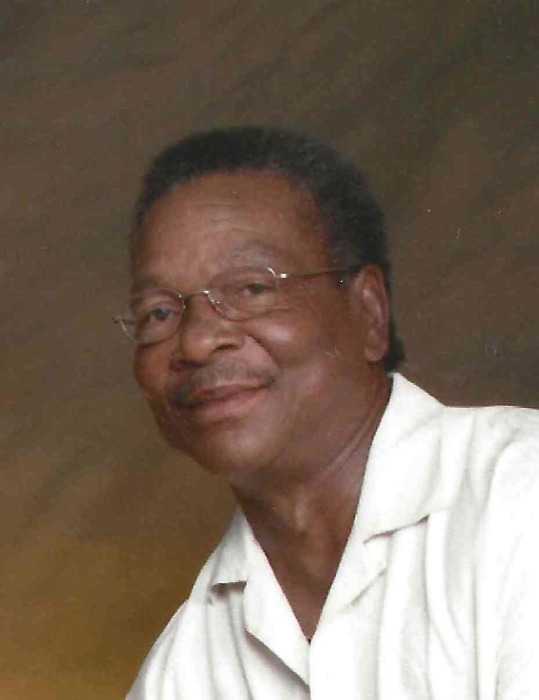 Mr. Charles Douglas Legette, 71, departed this life Thursday January 24, 2019 in Florence County. He was the husband of Elizabeth Legette. You may visit the family at 515 Mullins St. Marion. Funeral services are scheduled to be held at the Jackson & McGill Memorial Chapel Friday February 1, 2019 at 11:00 am. He will be laid to rest in the Florence National Cemetery, Florence, SC. The Veterans Honor Guard of Florence will be in charge of military rites. Today, we pause to pay tribute to the memories of one who endeared himself in the hearts of his family and friends. He was greatly admired and dearly loved. Almighty God, in His infinite wisdom saw fit to give Charles Douglas Legette eternal rest, calling him from labor to reward, on Thursday, January 24, 2019 at the McLeod Hospice House Florence, South Carolina. Charles Douglas Legette was born to the late Millie Scott and Jessie Legette on November 4, 1947 in Marion, South Carolina. He had three sisters: Dorothy H. Bethea, Margo Grant, and Viola L. Lee, and five brothers: Sinclair Scott, Tyrone Scott, Dr. Russell Wayne Nelson, McCle Leonard, Jessie Legette. Melvin Ellison and Antionette Sneed were reared as a sister and brother, Sinclair Scott preceded him in death. Charles (Pepper) Legette was a graduate of Southside High School in Rowland, North Carolina, Class of 1966. Charles was in the Army, he served from October 1967-June 1969 as a Radio Specialist. He was stationed at Fort Bragg, North Carolina and Fort Benning, Ga. He spent most of his Army life in Vietnam. He attended Florence Darlington Technical College, their, he received a certificate in Auto Mechanics. He was employed at the Mullins Hospital, Dillon Disabilities and Special Needs, Ocean Creek Resorts and Snappy Car Wash.
Charles and Ann Elizabeth were married in December 22, 1985, after spending three years of courtship. To this marriage and courtship, were four children, three daughters and one son, Patrice McGill, Rochel Huggins, Raquel Foxworth, Derwin McRae. Charles was a member of Pleasant Grove Missionary Baptist Church, later he became a member of Mt. Ararat Missionary Baptist Church, their, he served as a Trustee. Charles was a member of the Disabled Veterans- Lt. James B. Miller Chapter 21 and member of the VFW. To honor and cherish his memory he leaves on this side of Heaven the following his wife- Ann Elizabeth Wade Legette of Marion, South Carolina, daughters: Patrice McGill, Fayetteville, North Carolina, Rochel Huggins, Jacksonville Fl, and Raquel (James) Foxworth, Jacksonville, Fl., son: Derwin (Nicole) McRae, Lumberton, North Carolina, brothers: Tyrone(Vernita)Scott, Baltimore, Md., Dr. Elder Russell Wayne(Esther) Nelson ,Dillon, South Carolina, McCle Leonard, Jamaica , New York, Jessie(Sonja) Legette, Columbus, Ga., sisters: Dorothy H. Bethea, Marion, South Carolina, Margo (James) Grant, Wake Forest, North Carolina, Viola L. Lee, Cumberland, North Carolina, grandchildren: Ja’Asia Dushay Hemingway, Tan’ya Derica McGill, Jalen Foxworth, Zion Foxworth, Serenity Gerald, all of Jacksonville, Fl., A/1C Malik Abrams Warner Robbins Air Force Base, Warner, Ga, Kierra McRae, Brittany McAllum, Lumberton, North Carolina. Special friends: Henrietta Yates, Marcus Jackson, Robert and Shirley Davis; very special cousins Vivian Wade Rogers and Margaret Shirley Hughes. There is also a host of cousins, nieces, and nephews as well as a special circle of lifelong friends.